There are two key enhancements in this area. 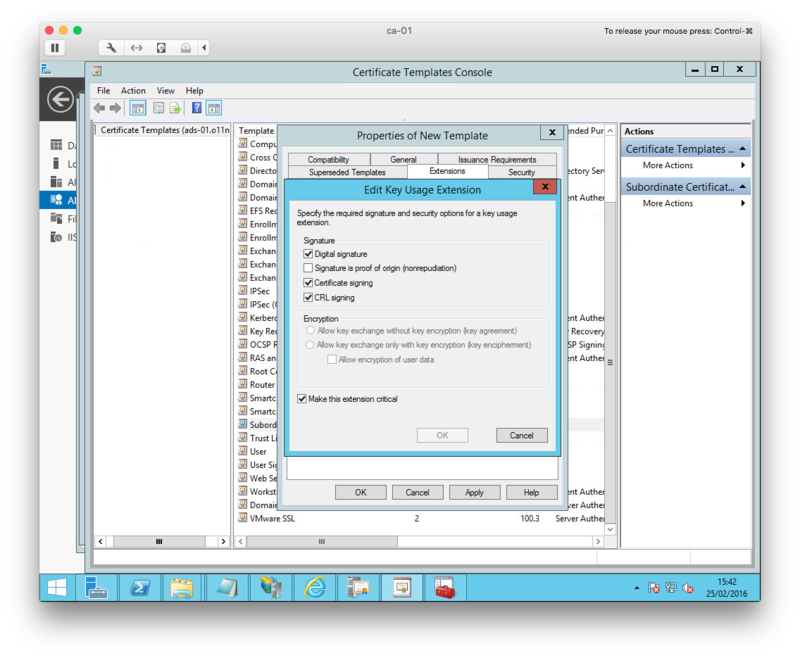 The first relates to the display of Health Status from vRealize Operations. These can be seen in list or item views and provide vRA users with some limited insights into the health of their virtual machines. The second enhancement concerns the reclamation of idle VMs. vROps can be utilised by vRA to identify any idle VMs based on configurable criteria. The resources used by the identified VMs can then be “reclaimed” if desired. This is a command-line interface that will be available as a separate download for use primarily by IT administrators. It will provide verb-based access to vCAC / vRA where scripting is more practical than creating API calls. I don’t know much about it yet but it would be great if it was nicely aligned with other VMware scripting utilities (for example as PowerCLI cmdlets). Today at VMworld Europe, VMware have officially unveiled vRealize Operations 6.0.
vCOps instances were not very scalable in the past. Once you reached a certain level, you’d be forced to deploy another one i.e. another “Analytics VM” and another “UI VM”. Scaling was achieved purely through the manipulation of hardware resources for the VMs. With vRealize Ops 6.0, the analytics and UI components are combined in a single appliance (or apparently a Linux / Windows installer) that can easily be scaled by introduced another instance to the cluster. The product now includes built-in clustering capabilities, enabling very easy scaling between a small deployment and a much larger one as well as introducing resiliency to the product. It will be possible with vROps 6.0 to combine multiple symptoms together to define alerts. Also, scripts or vCO workflows can be assigned to these alerts to enable automated, self-healing actions. Both of these are now customisable enabling the creation of views that are tailored to an organisation’s needs. There are a number of new management packs coming for OpenStack, NSX, Amazon AWS and vCloud Air amongst others and the method for installing and configuring them has been streamlined. Side-by-side migration from vCenter Operations 5.8 to vRealize Operations 6.0 will be possible. vROps is due to be generally available in Q4 2014. I missed this on Thursday. It slipped out quite quietly. 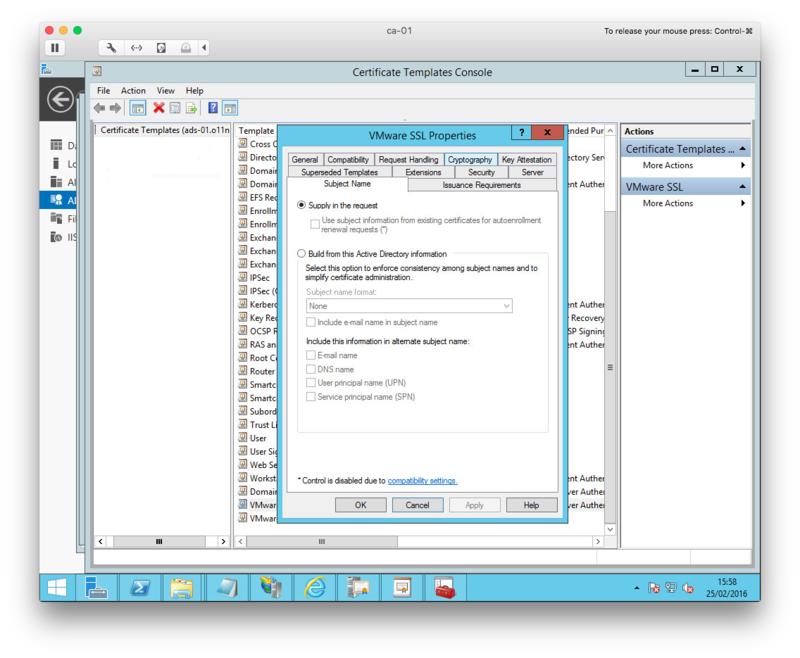 However, VMware have now released version 5.2.1 of vCloud Automation Center. Also included are a few changes that seem to me to be aimed at closing a few gaps between 5.2 and 6.0. As far as upgrades go, the upgrade path seems to be from 5.2 only or 5.2.1 can be installed from scratch. There are a couple of installation / upgrade gotchas to be aware of so it’s worth reading the release notes before planning an upgrade. I’ll be giving it a try in the next few days. It’s not 100% clear if this will be the final release for vCAC in the 5.x branch. I’m thinking that it will very much depend on when VMware release a version of 6.x that supports upgrades from 5.x. I was fortunate and privileged recently to be invited to the UK launch event for VMware’s vCloud Hybrid Service in the UK. The first of many planned deployments in the EMEA region for VMware. VMware’s vCloud Hybrid Service became public in the US in September last year. Swiftly afterwards, VMware announced their plans to bring the service to EMEA in 2014 and, as of Tuesday 25th February, it is generally available in Europe. 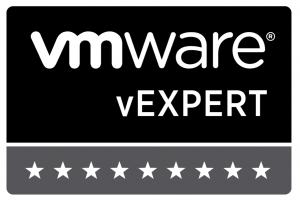 Besides being a blogger, I’m also fortunate to work for a leading VMware Partner in EMEA (Xtravirt). As we’re one of the few Hybrid Cloud certified partners (at the time of writing), I’m hoping to be working on some vCHS projects in the near future. Exciting! Why the UK and Why now? The launch of the service in London was anticipated for several weeks following a beta programme that was oversubscribed ten-fold. Initially, vCHS will be available via a single UK data centre. An additional data centre is due to come online in the 2nd quarter of this year and VMware already have plans to expand the service into more European countries. The relative importance to VMware of this launch was perhaps best emphasized by the presence of their CEO, Pat Gelsinger, who flew in from California for it. VMware have invested heavily in vCHS and will continue to do so as demand for public cloud services grows. Pat’s presence underlined to me the importance that VMware places on vCHS in their future. I guess it’d be more impressive if I actually had that money in my account! If anyone else tries this, tell me if you use Dr Evil’s voice when writing it out. Much of the remaining time at the event was dedicated to a Q&A panel involving many of the UK / EMEA’s top brass and vCHS product managers. Obviously, VMware weren’t the first to market with a public cloud offering (think Amazon AWS or Microsoft Azure for instance), but a significant portion of the launch briefing was focused around how vCHS benefits existing VMware customers more than a move to a 3rd party cloud provider does. For this, two of the service’s beta participants talked about their experiences. Betfair’s business activities, as part of the online gaming industry, are heavily regulated within the UK. One of their IT challenges is providing the business with sufficient agility to grow and develop. However, Betfair found that the potential benefits of cloud economics are balanced against the complexity of maintaining regulatory compliance when using cloud service providers. The key differentiator that they picked out in vCHS for them was the integration with their existing virtual platform (vSphere). Being able to migrate workloads from their on-premise platform to their dedicated vCHS space and (using other parts of the vCloud Suite) presenting business users with a single interface to request and manage virtual infrastructure made their adoption of vCHS for development and testing purposes possible. Cancer Research UK’s story is similar. Their key driver is to reduce their spend on “tin and wires” as they’re not an IT business. As a charity, regular and predictable costs are far more preferable to infrequent capital outlays for growth and hardware refreshes. Cancer Research wanted something they could just plug into and use to maximize their IT efficiency and move away from legacy systems. Thinking about these use cases, there’s certainly clear benefits for both customers. vCHS has several use cases and benefits. Key amongst the benefits is the ability to utilise existing vSphere management products and interfaces to manage your estate. Such integration is going to be a big selling point in my opinion. That’s a reasonable chunk of resources that are required (and must be paid for) that don’t run any workloads under normal conditions. Use vCHS for DR. They’d have to pay for storage used and they’d need a pretty chunky network connection but surely they have that anyway. In the evnt of needing to failover, they pay for the resource used. Use vCHS to support business growth without having to invest in capital equipment. Migrate their workloads to vCHS rather than refresh on-premise hardware and use multiple vCHS datacenters for resilience. The opportunities are both interesting and exciting to me. It was tempting to call this article “vCAC Ate My VM” but it’s not a useful description of what it’s actually about. I was onsite with a customer recently when an odd bit of behaviour occurred whilst testing some out some code in the BuildingMachine stub. I’ve reproduced what happened in my home lab and while it’s a bit worrying and probably a bug, I’d hesitate to ring the alarm bells too loudly. A bit of scene setting is required to explain this first. The customer wanted to use user specified machine names. The blueprints in use have been configured to request a machine name from the person requesting a VM. This name is also used for the VM’s guest OS hostname during the customization of the VM. Understandably this has to be unique within the DNS zone / network being used. The vCenter being used as a vCAC endpoint is the same one that “owns” the vCAC infrastructure and many other production VMs. However vCAC has it’s own cluster to consume resources from. The customer wanted to ensure that users couldn’t request a VM name that was already in use. 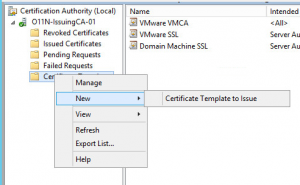 vCAC does its own checking to ensure that the same name is not used with vCAC itself. However, it does not check for existing VMs in vSphere. This is why I was adding some code to the WFStubBuildingMachine workflow. The solution that I had was a simple piece of PowerCLI that connected to the vCenter server, checked to see if the requested VM name was in use in any of the other clusters and failed the request if it was. Fairly simple and it worked. What I saw however was that the existing VM was destroyed by vCAC. Luckily it was a test one and not a production one. However, given that the vCenter server also managed non-vCAC VMs, this was a bit worrying and why I have been investigating it in my lab. 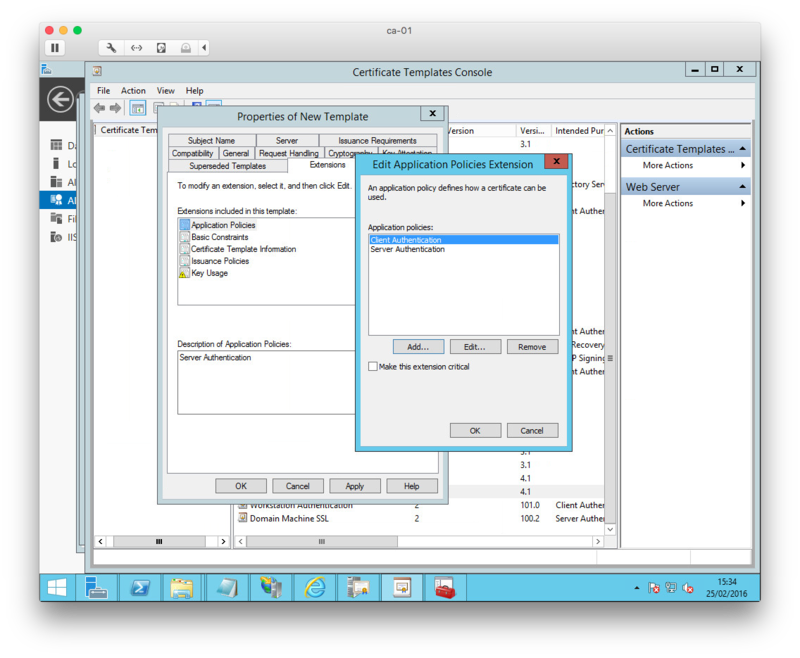 One for management VMs and one resource cluster for vCAC to provision into. I created a simple VM from a vSphere template called “testvm” in my MGMT cluster that would be my guinea pig. I then built a quick vCAC 5.2 server and configured my vCenter server’s “RES” cluster as a Compute Resource. With a reservation in place and a simple blueprint I was ready to test. Having verified that I could create VMs via vCAC with custom names successfully, I then went about customising the WFStubBuildingMachine workflow so that it would exit in a “Failed” state. Adam Bohle has a posting that explains how to accomplish this, I simplified it a bit as I didn’t need all of the logic in place, just a failure. Using the vCAC Designer, I simply added a step to return a Failed state from WFStubBuildingMachine and sent the change back to the Model Manager. 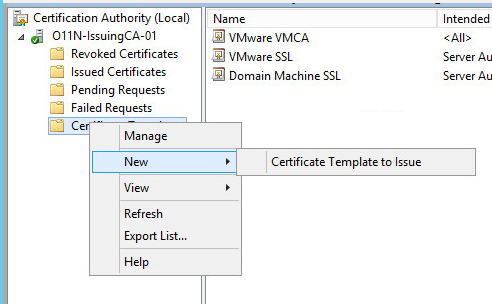 After another quick test, I could see that as soon as any request hit the “Building Machine” stage, it failed and vCAC would dispose of the VM. The important thing to realise is that in the lifecycle of a vCAC machine, “Building Machine” means that nothing has been created yet outside of vCAC. 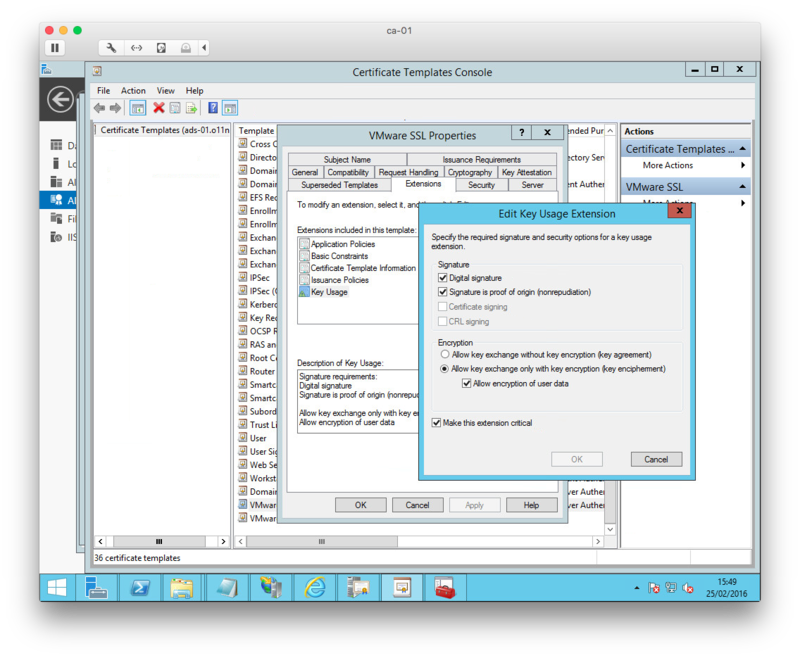 No cloning in vSphere has taken place. So disposing of a failed request at this stage should not really involve vCenter at all. This time I made a vCAC request for a VM called “testvm” (remember that it’s in my MGMT cluster and vCAC is set to use only my RES cluster for VMs). 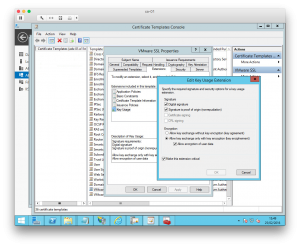 As expected, the requests fails at the “Building Machine” stage and vCAC disposes of the VM. Back in vCenter “testvm” is still there and running ok. This is good. As I’d hoped, vCAC doesn’t touch something that’s in another cluster. If the “testvm” machine is moved to the RES cluster though, what then? Boom! vCAC jumps into a Disposing stage as expected but deletes the non-vCAC VM from vCenter that has the same name! Whilst this probably shouldn’t happen, what I was doing here wasn’t good practice anyway. 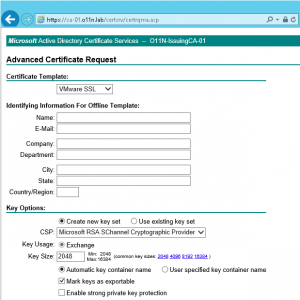 The cluster that vCAC provisions into should only be used by vCAC. There should be no other VMs in there at all.